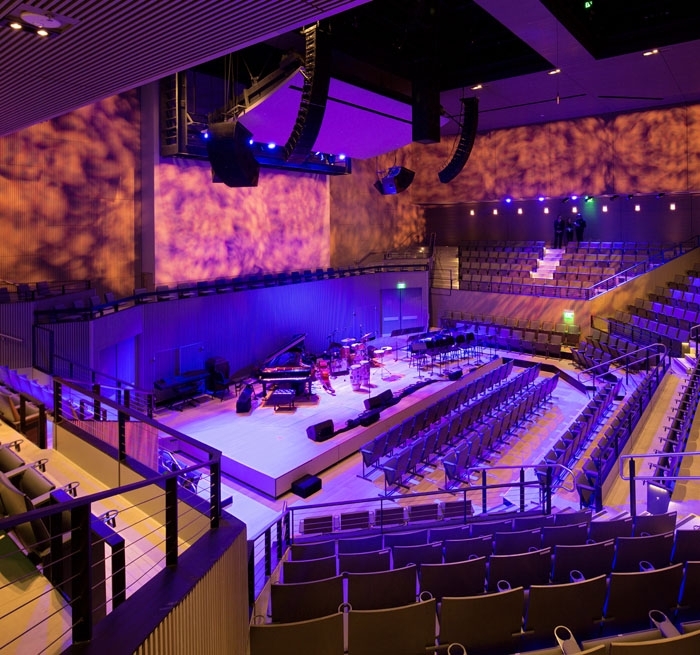 The SFJAZZ Center is the first stand-alone facility on the West Coast dedicated to jazz, and one of only two in the United States. 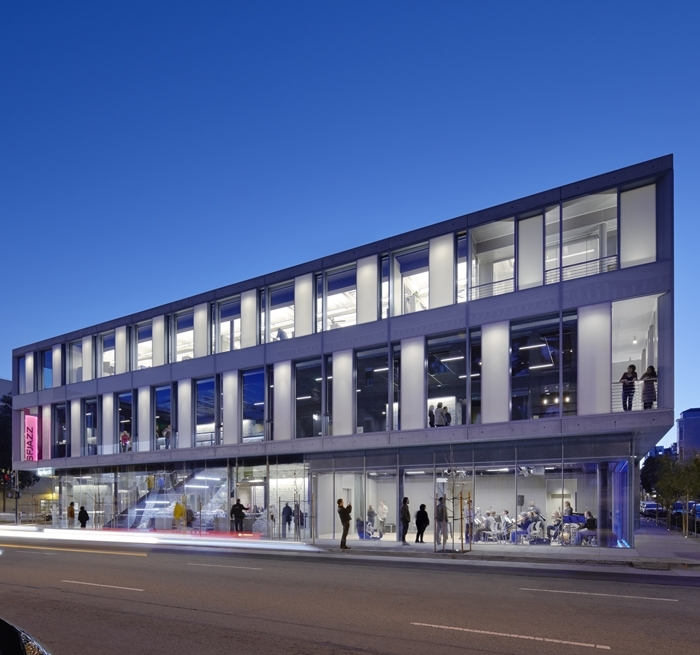 Located in Hayes Valley near the Civic Center performing arts district, the Center is a modern, three story building made of glass, steel and concrete with lobbies visible from the street. The 30-year-old organization now has a permanent home to foster its renowned reputation of presenting the finest jazz musicians and develop an education program of the highest quality. 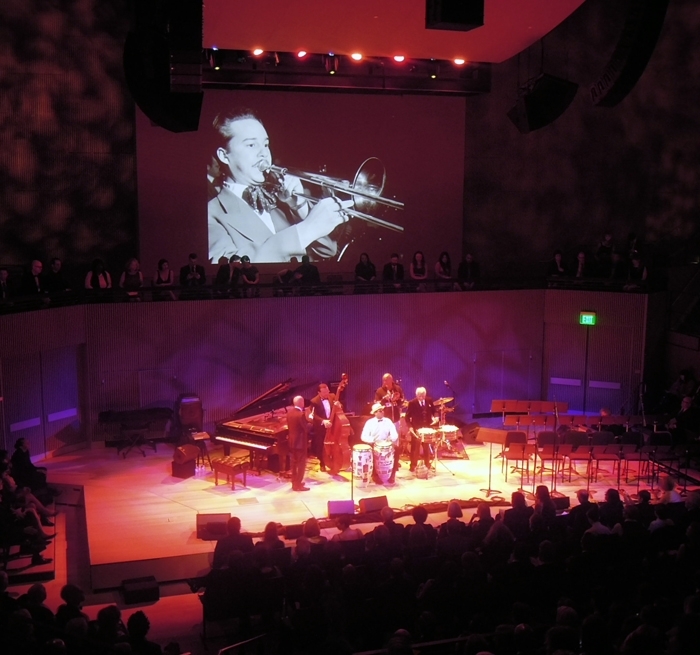 Born of extensive research of other jazz venues and discussions with the client, the design team created a unique venue that reflects the spirit of the SFJAZZ organization and its mission. Auerbach Pollock Friedlander developed flexible video projection systems and broadcast infrastructure in the auditorium. Pathways, technical power and camera mounting positions provide for graceful accommodation of a broadcast television production truck for documenting high-profile events. 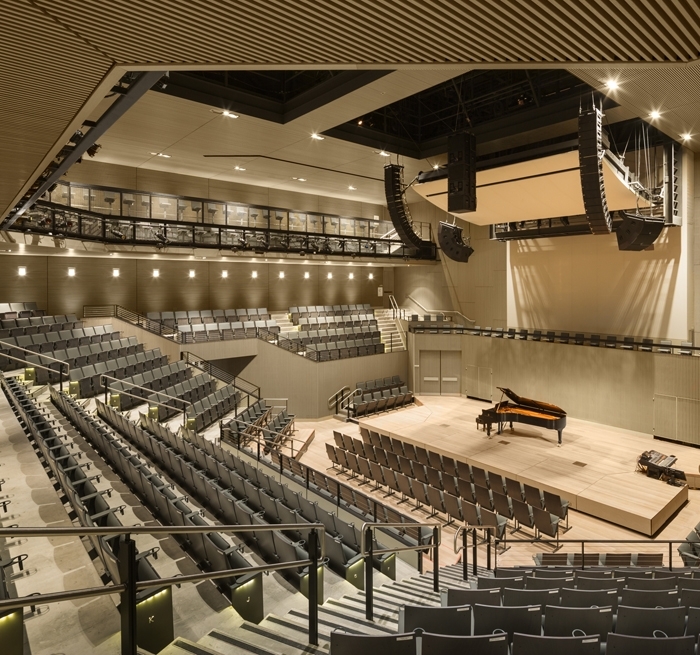 The multi-purpose Joe Henderson Lab, located directly off the lower lobby for rehearsing large acts and for intimate performances, contains glass walls on two corners emphasizing a connection to the surrounding area. In this ensemble room, a video screen is integrated into the ceiling for projection needs. The practice rooms and digital lab also incorporate production video elements.